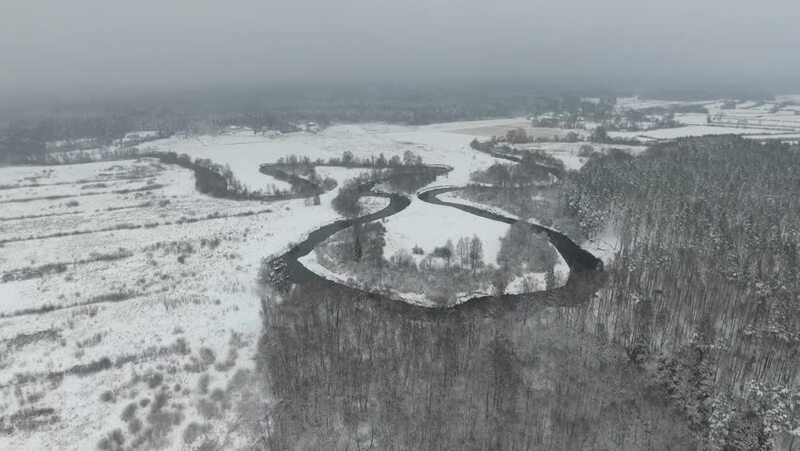 Winter river and forest. Bend of the river. Aerial video.